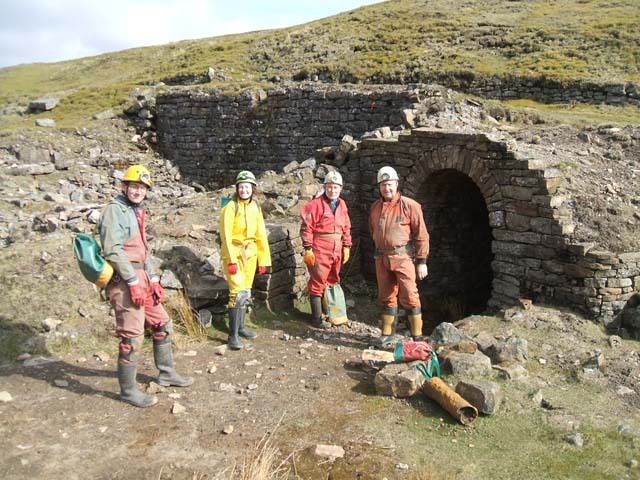 The practice from the previous day was put into use underground, with three casualties being successfully rescued with 30 cavers involved and 1 non-caving volunteer. Thanks to all who participated during the weekend. 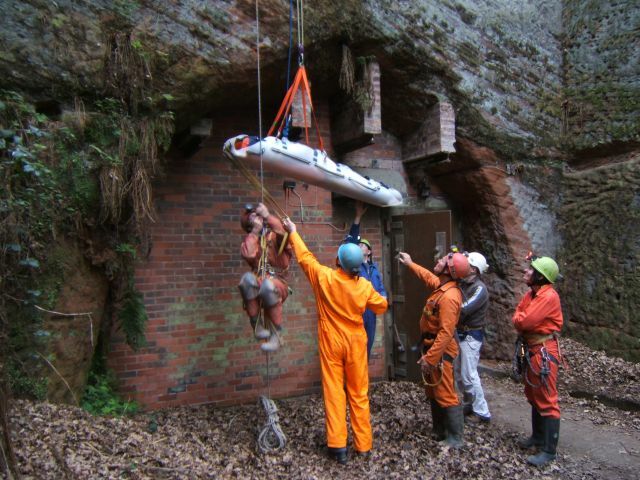 A joint "above" ground cave rescue training exercise at the Mill with 25 members of MCRO, Dudley Caving Club, GCRG and 1 guest. 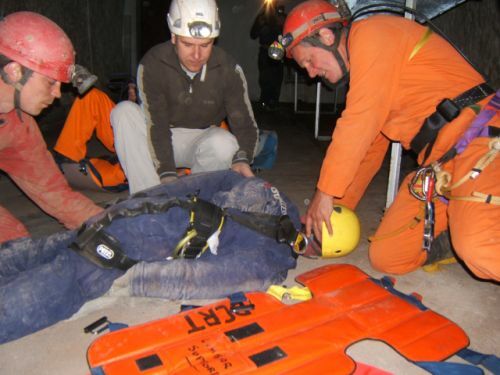 Three training sessions took place on communications, self-rescue and stretcher packaging and hauling. The evening ended with a curry, de-brief in the pub and a series of slide/video presentations. A busy weekend. On the Saturday we replaced two of the wheels on the truck, pumped out the cave, removed the stacked bags from the cross-rift, started to permanently install the yellow pipes, placed cup-hooks down the main passage to hold up the cables and started to dig a 'sump pool' below the cross-rift. On the Sunday we completed the installation of pipes and cup-hooks and continued to dig the sump pool. More details on the dig page. 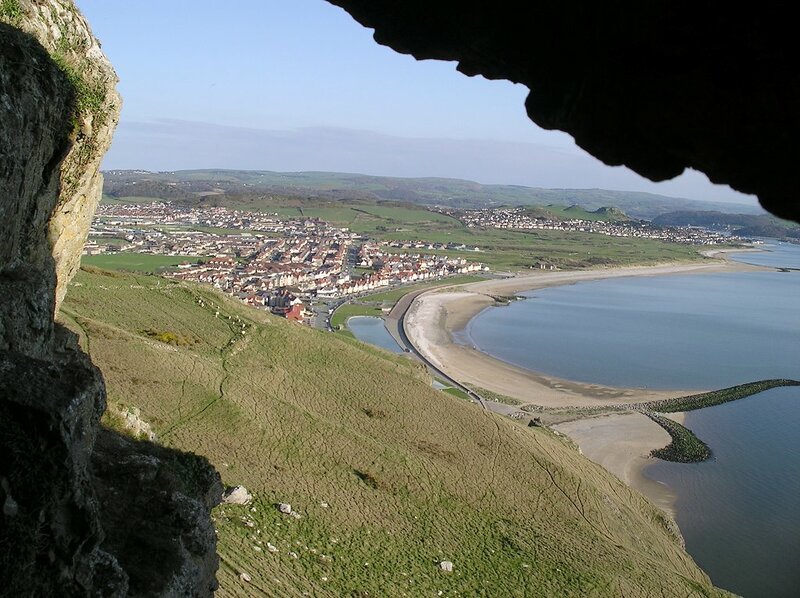 A very small cave above Invalid's Walk on the Great Orme. 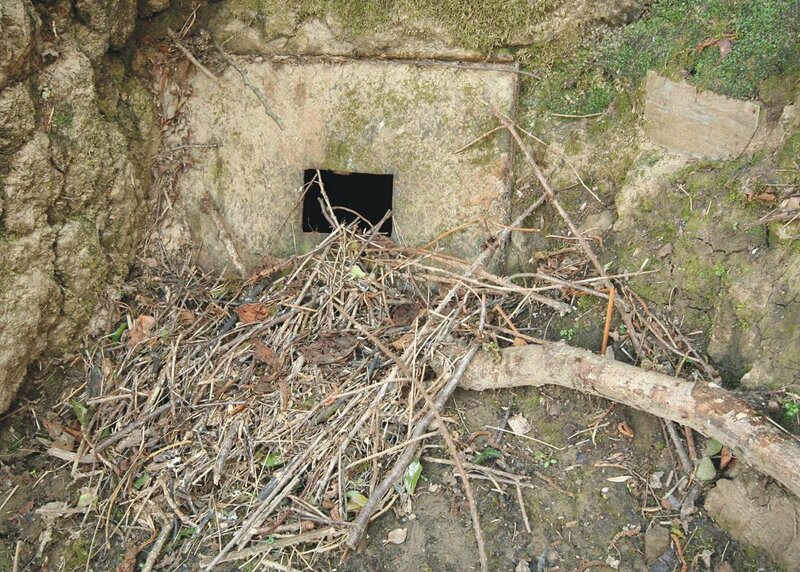 The cave consists of nothing more than a small chamber which was once lived in. 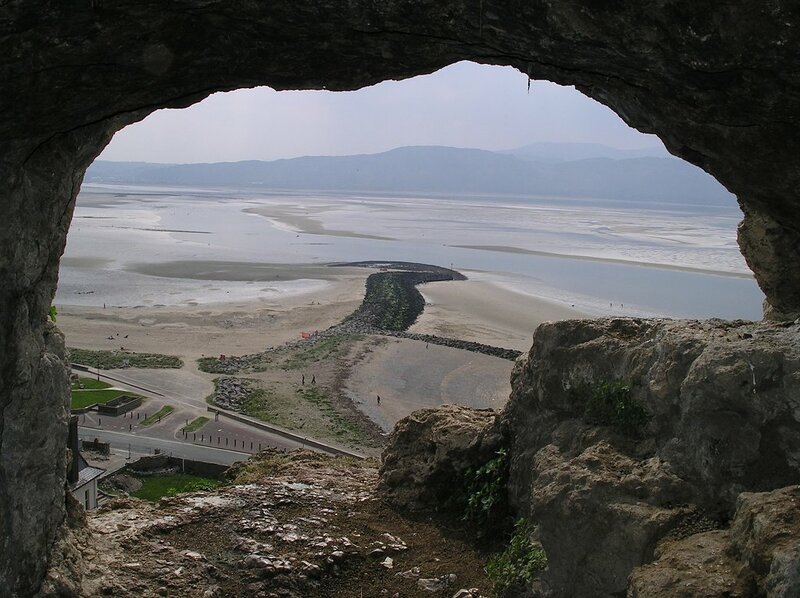 A cave I've been trying to find since I first saw it on a tourist map of the Orme in 1963. 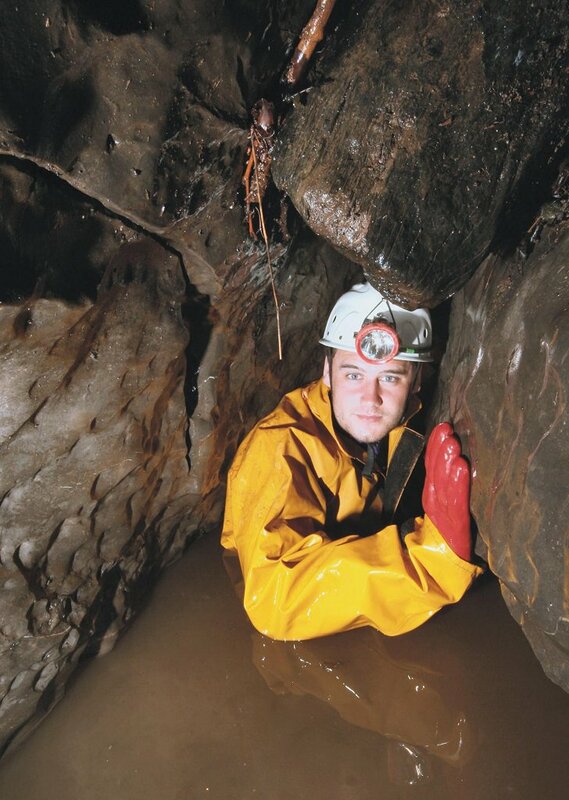 This time armed with the "Concise Caves of North Wales" and a GPS receiver I found it. Only 30ft long, but it wasn't about the cave, it was about finding it! Four of us started in Smallcleugh and descended the very approx 30m pitch, and exited via Rampgill. EmPo and MiCl joined a trip to Nenthead, near Alston, Northern Pennines organised by John "Mole" Hine. 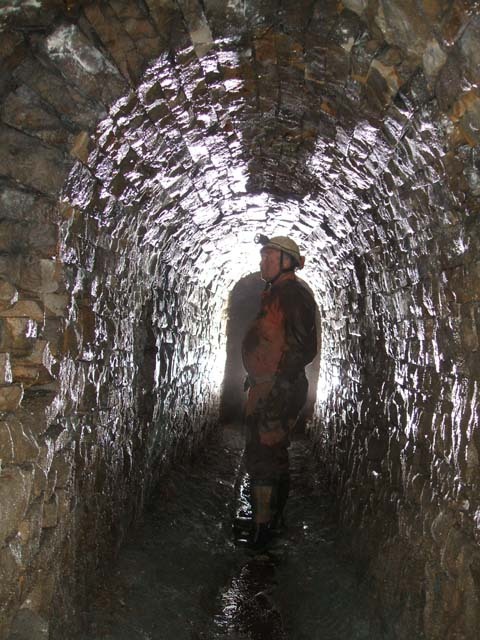 Some of SCMC kindly took us on an interesting 6 hour venture around Smallcleugh Mine, which was originally worked for lead and later zinc, including visiting The Ballroom.